Although the formal casting of ballots by the National Assembly was delayed for an hour by the presence of three times as many observers as the capacity of the parliament house, Nawaz Sharif breezed to an easy victory today and was elected Prime Minister for the third time in his career. Once he is sworn in later this evening by President Asif Ali Zardari, Pakistan will have completed its first-ever transition from one government serving out its entire elected term to another elected government. Sharif wasted no time in making headlines, as he called once again for an end to US drone strikes in Pakistan in his acceptance speech. 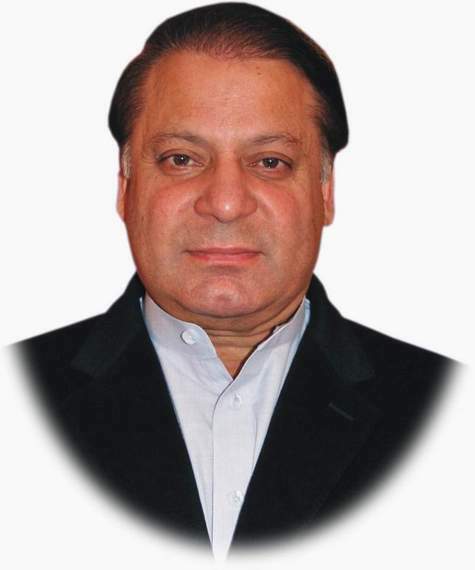 Nawaz Sharif of the PML-N was elected the country’s 18th prime minister in a race which also featured Pakistan Peoples Party’s Makhdoom Amin Fahim and Pakistan Tehrik-i-Insaaf’s Javed Hashmi. The PML-N chief is scheduled to take oath from President Asif Ali Zardari on Wednesday evening. 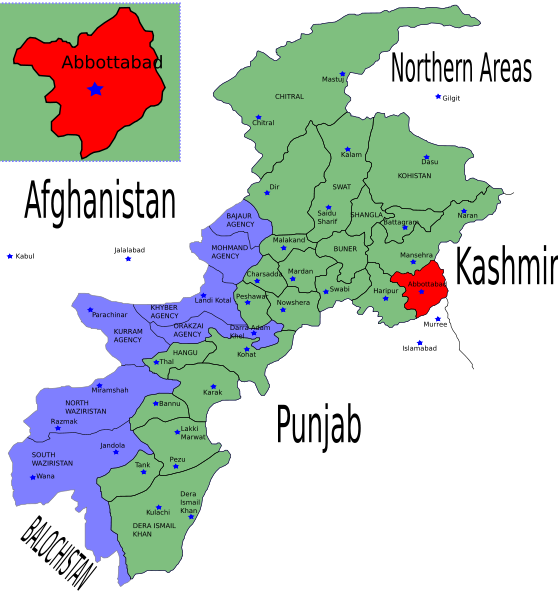 Sharif won the office by bagging 244 votes with his rivals Fahim and Hashmi securing 42 and 31 votes respectively. The session was delayed by an hour due to overcrowding in the parliament house as more than 2000 guests turned up to see the historic transition. Guests, most of whom had legitimate passes to enter the parliament house, were shifted to the media gallery which frustrated reporters present at the venue. The house is meant to seat nearly 700 observers, thus the surplus of 1300 individuals added last minute chaos. Speaker Ayaz Sadiq personally went to the media gallery to speak to disgruntled reporters and guests and urged for cooperation. Pakistan’s new prime minister, Nawaz Sharif, called for an end to American drone strikes in Pakistan’s tribal belt on Wednesday, shortly after he won a parliamentary vote to lead the country for an unparalleled third time. As the new government continues to form, it will be very interesting to see if Sharif carries through on his pledge to open negotiations with the Taliban, especially with the Taliban saying that they have withdrawn their willingness to negotiate peace after a drone strike killed their number two in command (who may well have been leading the efforts on peace negotiation). Pakistan’s successful transfer of power from one government to another is to be commended, Perhaps the stage is now set for addressing a number of the issues the country faces beyond drones, such as the huge number of internally displaced people, stopping disappearances in Balochistan and generating enough electricity to end the load-shedding that only provides electricity to many customers for just a brief period each day. Which Came First, Unilateral Strikes or Signature Strikes? I realized something as I was writing this post on Mark Mazzetti’s latest installment from his book. Signature strikes — those strikes targeted at patterns rather than identified terrorists — purportedly preceded our unilateral use of drone strikes in Pakistan. 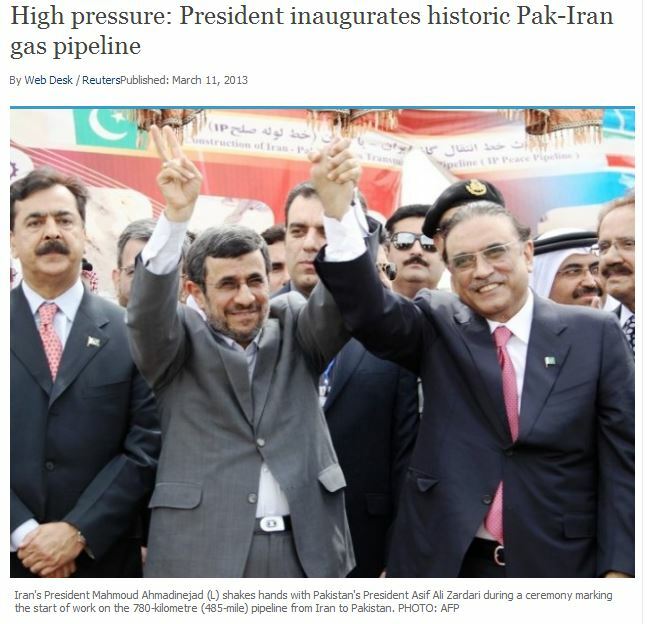 At least that’s what appears to be the case, comparing this article, which dates General Ashfaq Parvez Kayani’s approval of signature strikes to a January 9, 2008 meeting with DNI Mike McConnell and Michael Hayden. The change, described by senior American and Pakistani officials who would not speak for attribution because of the classified nature of the program, allows American military commanders greater leeway to choose from what one official who took part in the debate called “a Chinese menu” of strike options. Instead of having to confirm the identity of a suspected militant leader before attacking, this shift allowed American operators to strike convoys of vehicles that bear the characteristics of Qaeda or Taliban leaders on the run, for instance, so long as the risk of civilian casualties is judged to be low. With Mazzetti’s latest, which dates unilateral strikes to a July 2008 meeting with Kayani (note, Mazzetti doesn’t say whether Hayden and Stephen Kappes, or someone else, “informed” Kayani). Let’s take a step back and contextualize that. https://www.emptywheel.net/wp-content/uploads/2016/07/Logo-Web.png 0 0 emptywheel https://www.emptywheel.net/wp-content/uploads/2016/07/Logo-Web.png emptywheel2013-04-09 16:53:442013-04-10 18:33:56Which Came First, Unilateral Strikes or Signature Strikes? In a week that has seen rapid changes in Pakistan’s civilian government, it appears that President Asif Ali Zardari’s political party, the PPP, has had to change its choice to replace Prime Minister Yousaf Raza Gilani, who was ousted earlier in the week by the Supreme Court. President Asif Ali Zardari nominated Shahabuddin to form a new cabinet after the Supreme Court dismissed Gilani for contempt on Tuesday. A consensus choice and a loyalist, Shahabuddin was briefly finance minister during the 1993-1996 premiership of Benazir Bhutto, Zardari’s wife who was assassinated in 2007. His nomination was announced after more than 24 hours of crisis talks and intense horse trading between Zardari and members of his fractious ruling coalition. In brief remarks at the national assembly, Shahabuddin showcased his loyalty by thanking Zardari and extending greetings to members of the Pakistan People’s Party (PPP) on the birthday of his late wife. “I am thankful from the bottom of my heart (to Zardari),” he told reporters. “Today is a special day because it is Benazir Bhutto’s birthday and I send my congratulations on this birthday to all party workers,” he added. A non-bailable arrest warrant was issued against Pakistan People’s Party (PPP) leader Makhdoom Shahabuddin in the ephedrine quota case, DawnNews reported. President Zardari had nominated Shahabuddin as a candidate for the new prime minister. He had also filed his nomination papers for the slot on Thursday. The Anti-Narcotics Force (ANF) issued warrants against Shahabuddin, Musa Gilani and one other person. Earlier on June 7, Regional Director of the ANF Brig Fahim Ahmed Khan had told the Supreme Court that the ANF had widened its inquiry against Shahabuddin who he said had ordered the local conversion of ephedrine after Berlex Lab International and Danas Pharma (Pvt) Ltd failed to export asthma drugs to Afghanistan. The ephedrine scam had come to light in April when the ANF informed a three-judge bench of the Supreme Court, headed by Chief Justice Iftikhar Mohammad Chaudhry, that the ephedrine quota worth Rs7 billion was given to two Multan-based companies on the pressure of an influential person. On April 26, Pakistan’s Supreme Court found Prime Minister Yousaf Raza Gilani in contempt of court for his refusal to ask Switzerland to re-open a corruption investigation into President Asif Ali Zardari. Today, the Supreme Court ruled that as a result of that conviction, Gilani is no longer Prime Minister (and has not been so since the April conviction). Pakistan’s Supreme Court on Tuesday declared Prime Minister Yusuf Raza Gilani ineligible for office, plunging the country into another political crisis. In April, the Supreme Court found Gilani guilty of contempt of court for refusing to reopen corruption cases against the president. Gilani’s lawyer, Fawad Chaudhry, said only parliament could dismiss the prime minister. “Yousuf Raza Gilani has become disqualified from being member of the parliament,” said Chief Justice Iftikhar Muhammad Chaudhry, reading the order. “He has also ceased to be the prime minister of Pakistan with effect from the same date (April 26) and office of the prime minister shall be deemed to be vacant accordingly. “The Election Commission is required to issue notification of disqualification… The president is required to take necessary steps under the constitution to ensure continuation of democratic process through parliamentary system of government in the country,” he added. A three-member bench, comprising Chief Justice Iftikhar Mohammad Chaudhry, Justice Jawwad S. Khawaja and Justice Khilji Arif Hussain heard a set of constitutional petitions challenging National Assembly Speaker Fehmida Mirza’s ruling over the reference against Yousuf Raza Gilani. Security in the Red Zone has been put on high-alert, while a heavy contingent of police has also been deployed at the Gilani House in Multan. It will be very interesting to see how Zardari and the PPP choose to go forward from this point. Will they simply support an appeal of the Supreme Court ruling, even though they did not appeal the initial contempt ruling? Will they instead choose a new Prime Minister and seek to finish the current term until elections next year? Will they choose to call early elections? Whatever course Zardari and the PPP choose, Pakistan is now in uncharted waters. I have seen no reports, however, suggesting that the military plans to step in and take control of the government during this crisis. That is a major step forward for democratic processess as the judiciary and the elected government seek to find a way to move forward. Update: Dawn is now reporting that the PPP has decided not to call for early elections and will instead name a new Prime Minister within 24 hours. 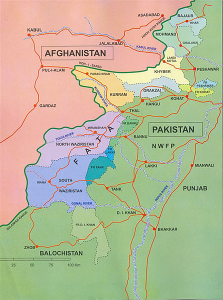 Today, US drones killed four more people in North Waziristan in Pakistan’s Federally Administered Tribal Areas (FATA). This strike comes at a critical time in US-Pakistan relations, as many believed that the US and Pakistan would announce an agreement reopening NATO supply routes through Pakistan at last weekend’s NATO summit in Chicago. Instead of reaching agreement, however, Pakistan’s President Asif Ali Zardari was essentially shunned at the meeting. Today’s strike adds to that insult, as Pakistan has been objecting strenuously to US drone strikes as an imposition on Pakistan’s sovereignty. 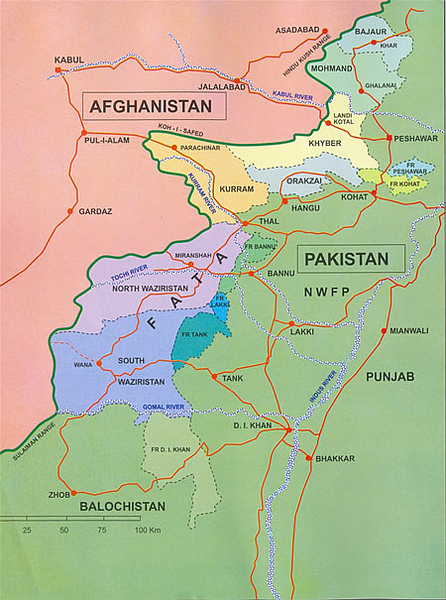 Despite US claims that Pakistan does nothing to stop insurgents in the FATA, Pakistani jets also killed 12 people today in Orakzai Agency, which is near North Waziristan and also within the FATA. Drone strikes in Pakistan by the US have occasionally been interrupted by various diplomatic issues. For example, there was a lull of over a month at the height of negotiations over the release of Raymond Davis. One of the most notorious US drone strikes was on March 17, 2011, the day after Raymond Davis was released. This signature strike killed over 40, and despite US claims (was that you, John Brennan? ), that those killed “weren’t gathering for a bake sale” it was later determined that the majority of those killed were indeed civilians at a jirga to discuss local mineral rights. Because it was so poorly targeted, this strike always stood out in my mind as the product of an attitude where high-level US personnel demanded a target, no matter how poorly developed, simply to have something to hit since drone strikes had been on hold over the Davis negotiations and there was a need to teach Pakistan a lesson. Not too long after that strike, another strike seemed to be timed as a response to negotiations gone bad. On April 13, 2011, there was a drone strike in South Waziristan that occurred while Pakistan’s ISI chief was in transit back to Pakistan after discussions with the US over drones was cut short. In a case that has been simmering for months, Pakistan’s Supreme Court today found Prime Minister Yousuf Raza Gilani guilty of contempt of court for failing to carry through with investigation of corruption charges against President Asif Ali Zardari. Gilani’s “sentence” was brief, lasting only about 30 seconds until the court adjourned. Dawn’s description of what is likely to come next suggests that appeals of various sorts will take months to play out, but the largest opposing political parties are calling for Gilani’s immediate resignation. The bench found Gilani guilty of contempt of court for refusing to reopen corruption cases against the president, but gave him only a symbolic sentence of a few minutes’ detention in the courtroom, while he did not receive any jail term. “For reasons to be recorded later, the prime minister is found guilty of contempt for wilfully flouting the direction of the Supreme Court,” said Justice Nasirul Mulk. A seven-member bench, headed by Justice Nasirul Mulk announced the verdict and convicted him for violating Contempt of Court Ordinance 2003 section 5 and the charges framed against him were for willfully disobeying the court’s orders and ridiculing it. The court cited article 63 (1) (g) of the Constitution and observed that the premier might face consequences under it. “Gilani will certainly file an appeal and will remain in his position till the final appeal is dismissed. At the same time, it is very important to understand that the dismissed appeal can also be filed for further review, providing the government with more time to drag the case,” added Haider. “The Election Commission of Pakistan, reviewing all the charges and verdicts against the PM, will issue a notification for de-seating him entirely, however, I must also say that this notification can also be challenged by Gilani,” he added. Following up on his original video deposition from late last month, Mansoor Ijaz, once again by video link from London, was subjected to cross-examination yesterday and today by the judicial commission investigating the Memogate scandal. Ijaz reiterated his primary claim he has made from the start, that his actions were prompted by a strong belief that a military coup was imminent on the heels of the US action that killed Osama bin Laden in May, 2011. After Haqqani approached him first, Ijaz said, he used his contacts with intelligence agencies of various countries to obtain documents, including travel records of Director-General Inter-Services Intelligence (ISI) chief Lt General Ahmad Shuja Pasha, minute-by-minute Pakistan Air traffic Control flight monitoring of US helicopters which infiltrated Pakistani airspace for the May 2 raid, and a transcript of a call between President Asif Ali Zardari and Army Chief General Ashfaq Parvez Kayani. During the cross-examination before the judicial commission investigating the case, the Pakistani-American businessman said he had been briefed by at least four intelligence networks of different countries after the killing of Al Qaeda chief Osama bin Laden in Abbottabad on May 2, last year. He said he had obtained the information about actions and reactions of Army Chief Gen Ashfaq Parvez Kayani, President Asif Ali Zardari and the military secretary to the president after the incident, details of foreign visits of the Director General of Inter-Services Intelligence (ISI) and transcripts of conversation between air traffic control staff and the pilots of the US helicopters which raided Osama’s compound. He also claimed to have the transcripts of conversations between the President’s House and the Army House on the operation.